The book investigates the nature of the law and how it is used both to develop and disrupt authority. UC Santa Cruz professor Mark Fathi Massoud's family fled Sudan in 1983 when he was a boy. He returned to his homeland more than two decades later, while a Berkeley Ph.D. student, as the nation was ending Africa's longest civil war. 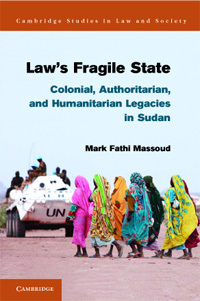 Now a lawyer and assistant professor of politics and legal studies at UCSC, Massoud has published his first book, Law’s Fragile State: Colonial, Authoritarian, and Humanitarian Legacies in Sudan (Cambridge University Press, 2013), examining how legal order and the rule of law develop in war-torn settings. Massoud spent 15 months between 2005 and 2010 conducting research in Sudan and in Sudan's 20th-century colonial masters – England and Egypt. He uncovered the ways different political actors – colonial administrators, postcolonial governments, and international aid agencies – use legal resources to promote stability and their own visions of the rule of law amid political violence and war. "I wrote the book to investigate the nature of the law and how law is used both to develop and to disrupt authority," Massoud said. "I also wrote the book to understand Sudan." Massoud said the law is essential to, not missing from, states fighting for political stability. "What I learned surprised me. Contrary to the conventional wisdom of a legal vacuum in 'failed' or fragile states, the law matters immensely," he said. "Governments – colonial, democratic, and authoritarian – and civic organizations – regardless of their orientation – all seek to promote law and legal progress. They have constructed law schools, educated people about the law, built courts, and drafted constitutions to help them promote their political goals and achieve social or economic stability." Massoud continues to be drawn to the world’s toughest places. For the past two months he's been in Somaliland, a self-declared independent country that the rest of the world considers the northern region of Somalia. Somalia was recently ranked the world's most failed state, just ahead of Sudan, ranked third, and South Sudan, which debuted this year at fourth. "These are the places where I have sought to investigate the dynamic nature, purpose, and functions of law," Massoud said, "and the role of legal professionals in constructing states out of war-torn regions." Massoud said promoting the rule of law cuts two ways. "Certainly under the right conditions it can help to establish democracy. But the building blocks of the rule of law – stable government, courts, law schools, and prison systems – can also be the bedrock of authoritarian rule." He said governments, even dictatorial ones, want to ensure that people’s disputes are resolved and that grievances against the state are processed. "Getting the job done quickly enhances social stability." During the 1990s at the height of Sudan’s civil war, the government of President Omar al-Bashir made huge investments in its judiciary, the likes of which had not been seen since British colonial officials arrived a century earlier. Law’s Fragile State details the emergence of hundreds of new courts and more than a dozen new law schools around the country. “And that was just the beginning,” Massoud said. State development under Bashir has been rooted in both law and religion – a vision of Islamic law that demands adherence because of its claims to divine authority and because of the people’s profound piety. 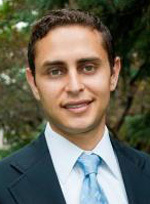 Massoud returns to UCSC this fall. His research and writing have been supported by fellowships from Fulbright-Hays, Institute on Global Conflict and Cooperation, UC Santa Cruz, UC Berkeley, Stanford University, and McGill University.